If you want to serve salads with a gourmet wow factor, then you should try this. I can't guarantee that it is easy to tuck those long strands of lettuce and carrots into your mouth but you can see that it is easy on the eye. It's one of those plating techniques that is worth trying at least once in your life just so that you can feel a sense of achievement. The following are the quantities of ingredients I used for that plate of salad you see up there. For a low carb version skip the carrots or use a very small quantity, skip the Irish potato, sweet corn and Heinz Salad Cream. I did not even use up all the lettuce stated above. I just cut out from the longest parts of the leaves. To get long thin strands, you need a long carrot and the carrot should be soft, not the fibrous kind. Use any salad dressing of your choice. All the vegetables need to be rinsed thoroughly. Cook the egg till hard, peel and cut into 2. See: How to make Perfect Hard-boiled Eggs for how to cook the perfect hard-boiled egg with moist egg yolks, peels easily, with no unsightly green/grey ring around the egg yolk. Lay the lettuce flat on the chopping board and cut into long thin strands. It is best to cut along the vein of the leaves. Scrape the carrot and cut into long thin strands. Grate the remaining pieces that are not long enough into small pieces. 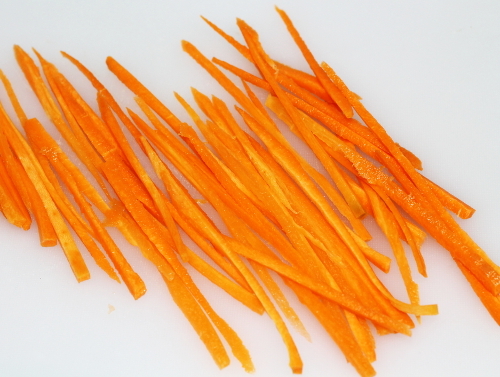 Boil some water and dip the long thin strands of carrots in it for about 30 seconds. This is so that they will soften and bend easily. Peel and cut the potato into small cubes. Then cook till done but hard to bite. This does not take much time so watch it so that the pieces do not become too soft. Pour in a sieve or colander to drain. 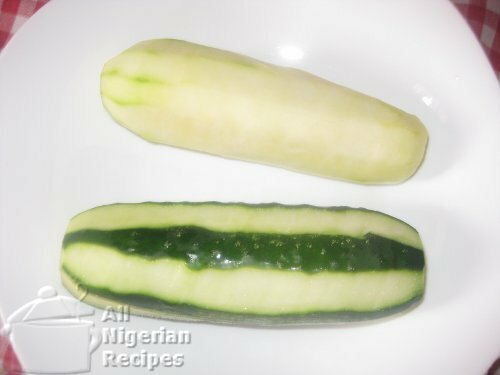 Peel, remove the seeds and cut the cucumber into the same size of cubes as the potato. I peel the cucumber in stripes for some green colour. 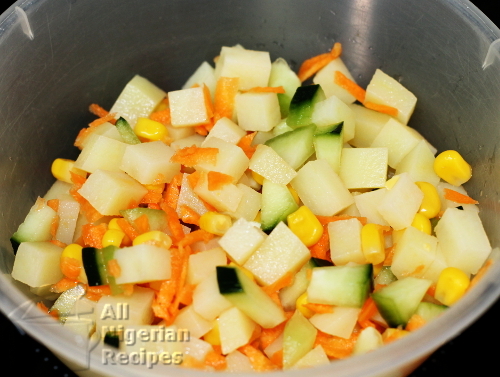 Place the diced potatoes, cucumber, grated carrots and sweet corn in a bowl and stir till everything is combined. 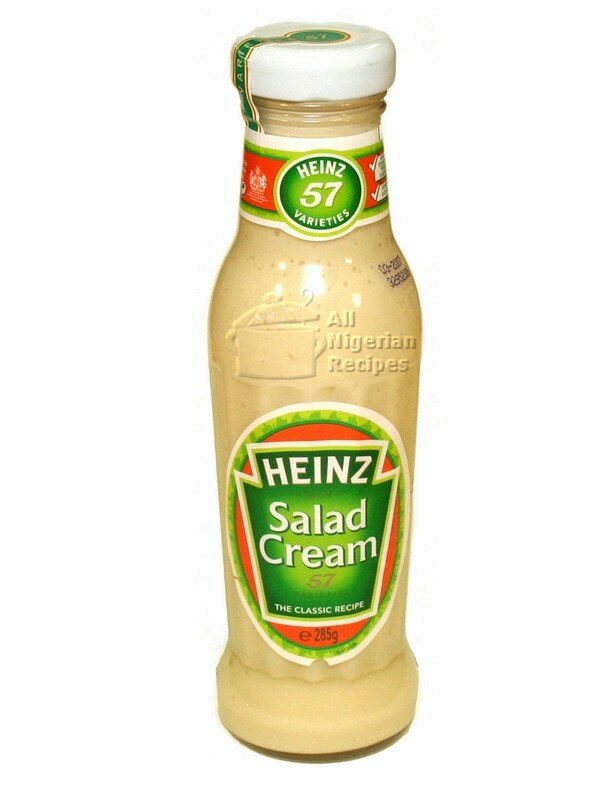 Add the salad cream and mayonnaise and stir very well. Arrange the long thin lettuce around the mixture of potatoes, grated carrots, cucumber and sweet corn, leaving some space in the middle. 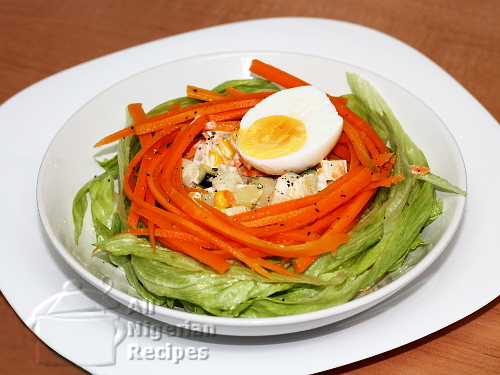 Arrange the soft long thin carrots inside the circle created by the lettuce. Sprinkle the black pepper on top. Spray olive oil on everything (optional) then place the halved hard-boiled egg on top. 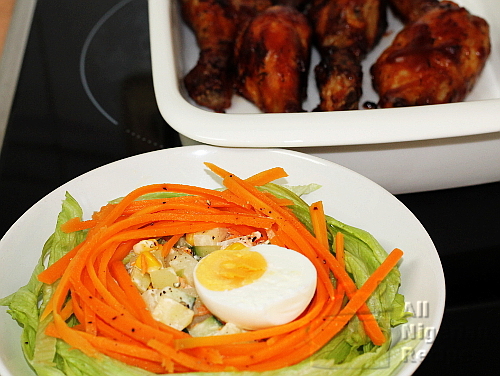 Serve Bird's Nest Salad with Barbecue Chicken Drumsticks, Nigerian Jollof Rice, Nigerian Coconut Rice, Nigerian Fried Rice and other Nigerian rice dishes.